I started out just trying the Blogger post editor on my phone. I thought I could at least work on the post contents, even if I couldn't create completed posts. Everything in the editor seemed to work fine. My phone is a Galaxy S5 with Chrome for Android. 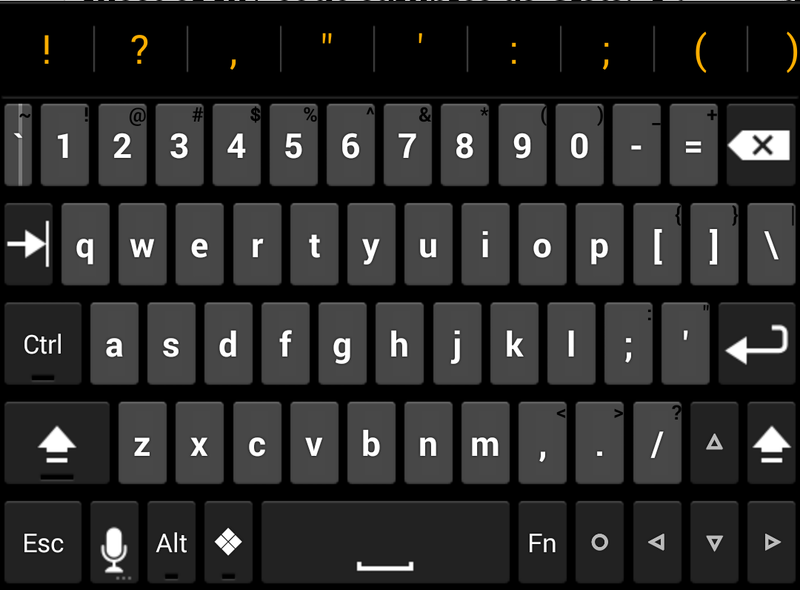 I'm using a custom keyboard called Hacker's Keyboard. The only problem I ran into here was that there isn't enough room for everything in landscape mode. The keyboard allows you to have a full keyboard even in portrait mode though. The keys are small but I am getting used to it. After I realized I could create post content I wondered if I could do more. I am doing most of my code samples as Gists. I decided to take a look at the Github app, so I installed the official app. It lets you view and edit your Gists, so it is just what I needed. Now I could make pretty decent articles. I am also able to load pages that are on my local dev machine and take screenshots. That way I can show the results of executing code. Next time I will go into more detail about how I access my local dev machine without being able to change the host file on my phone. It isn't rooted. Also I will get into how I am able to author and run code on my dev machine from my phone.